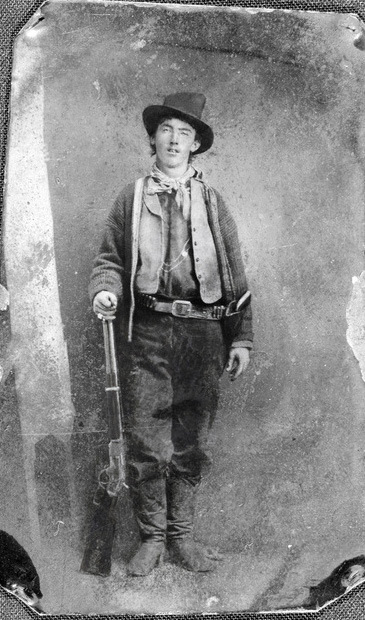 In legend, Billy the Kid has been described as a vicious and ruthless killer, an outlaw who died at the age of twenty-one, not before raising havoc in the New Mexico Territory. It was said he took the lives of twenty-one men, one for each year of his life, the first one when he was just twelve years old. He was a rebel without a cause who killed without reason. These and many more accusations of callous acts are examples of the myth of Billy the Kid. In real form, the Kid was not the cold-blooded killer he has been portrayed as, but a young man who lived in a violent dog-eat-dog world, where knowing how to use a gun was the difference between life and death. As you read the biography keep in mind that Billy the Kid lived in a very different, lawless, and corrupted time, so don't judge him by today’s morals and laws. Billy the Kid: How Bad Was He?